From the 12th October limited edition Bodyform packs will come with a free, deliciously gorgeous lip gloss from the Jemma Kidd Make Up School range. Worth £10 each, these highly sought after limited edition lip glosses come in two stunning shades Orchid and Rose and are perfect for re-creating autumn’s hottest looks. 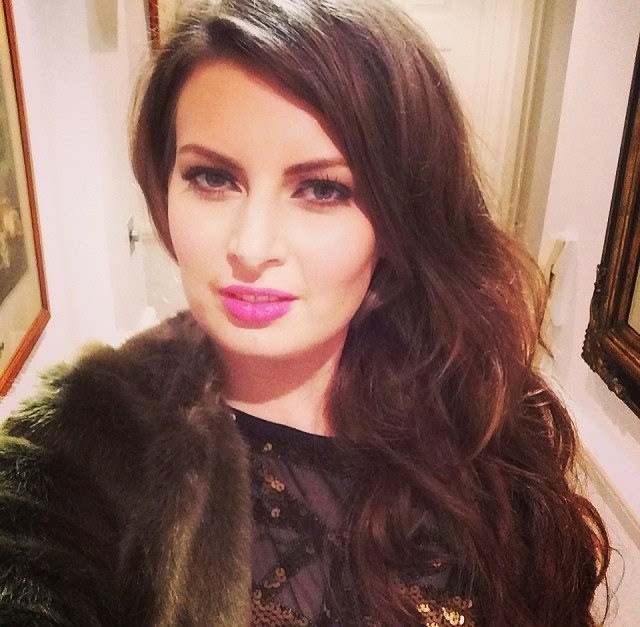 Designed by Jemma Kidd, internationally renowned make-up artist and founder of one of London’s leading make up academies, her make-up range is based on the ethos of revealing a woman’s inner beauty. 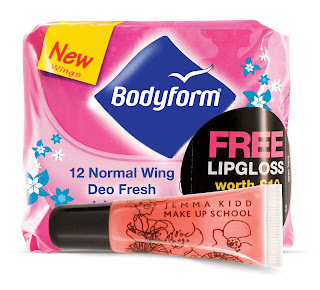 Using her expert knowledge to create products that achieve a delicate, fresh and dewy look, Jemma has developed a lip gloss with a silky formula that will have lips looking glossy without feeling sticky, so now you can get a gorgeous pout just by purchasing special packs of Bodyform. To create the perfect pout, line and fill the lips with a liner first to define them. This will also help the gloss stay on for longer. Applying a primer underneath your moisturiser is great for people who find that their make-up tends to wear off during the day. The primer will absorb any excess oils, even out skin tone and help foundation blend into the skin. If you have tired eyes, curl the lashes and apply a layer of defining mascara. This will really open up the eyes and make you look more awake. For more info about BodyForm products go to, http://www.bodyform.co.uk/ You can also submit your own tips for your chance to win a day’s make-up course at The Jemma Kidd Make Up school for you and a friend, plus a make-up hamper for you to take home (note that the competition starts from the 12th October 2009).